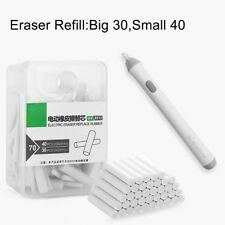 2.3mm eraser is used to erase small areas and 5mm eraser is to erase bigger areas. Compact and Lightweight Pencil Eraser. 30x 5mm Eraser. 40x 2.3mm Eraser. Our goal is. Luggage & Travel. The Crayola Inspiration Art Case has over 140 tools for junior artists to get creative with. Drawing & Lettering. School Art. Art Brushes. Copic Art Range. Keyboard & Mouse. This case includes 64 crayons, 40 washable markers, 22 short coloured pencils, and 15 sheets of paper. 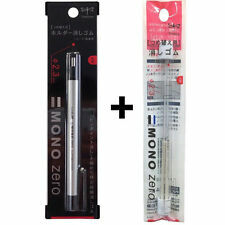 Tombow Mono Zero Eraser is the thinnest and most agile eraser line on the market. With a extra fine eraser, mistakes at detail can be fixed easily without affecting the right section. The size of the eraser is pencil case friendly as well. I love trying new things and adore using quality art/craft materials. RIPPLEWOOD ARTS. Description: 45/ 90 degrees, 30/ 60 degrees Triangle Rulers, Protractor and Straight Ruler Made from Transparent Durable Acrylic, High Quality and Sturdy, not easy to be scratched Cut-out identification and ruler scales printed in easy-to-read black ink. Protractor Center Cutout For Easy Finger Lifts and Accurate Angle Measurement Rulers are useful tools for architects, engineers, artists, designers, students, teacher, etc. Package Includes: 1 x 15cm Straight Ruler 1 x 45 degree Triangle Ruler 1 x 180 degree Protractor 1 x 60 degree Triangle Ruler 1 x Small Ziplock Pencil Case. Features: Perfect for home, school and office.Disassembly is very convenient, do not expose the motor.Lengthened leather core, use more durable.Easy disassembly.Convenient and easy to carry.Descriptions: Easy to carry, very small.Perfect gift for children and enhance their passion for study.Specifications: Material: plasticSize: 166x15mmColor: black, grayPower: by 2 x AAA batteries(not included)Package Included: One Set Of School Offic. Trending at AU $12.18eBay determines this price through a machine-learned model of the product's sale prices within the last 90 days. A must have tools for drawing and artist works. The perfect drawing eraser choice for artists, sketch pencils, drawing supplies. Art Eraser Kneaded. For cleaning slides and final drawing touch up. This Studymate Plastic T-Square is perfect for ruling, graphing and drafting. The ruler length is 60 cm long. Product weight (kg) : 0.015 kg. Copic Art Range. Food & Snacks. Miscellaneous / material : Plastic. German made Compass set with extension bar, universal adaptor and lead tube. (2) Both legs have a knee joint and intercha ngeable lead and needle insert. (3) A length of 170mm allows drawing circles up to 360mm. (5) Extension Bar with circles up to 580mm. High quality technical drawing pen and ink set. TECHNICAL DRAWING PEN - SET OF 9. 4 Drawing Inks - Black, Blue, Red, Green. 1 Engineering Compass. 4 Pen Stands. We deal directly with the manufacturer, this allows us to keep our prices low. Derwent Battery Eraser. This battery operated eraser is not just for rubbing out! Compact, sturdy eraser which can be used to erase very small areas on artwork and can also be used to create patterns and shapes as well as being a useful drawing tool. 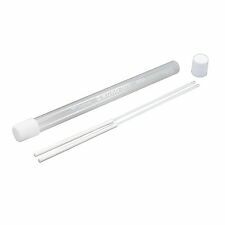 The small eraser core can precisely erase the wrong words or outline of your painting, sketch, etc. 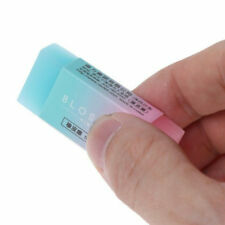 The retractable eraser can remove the wrong words or lines easily and cleanly. 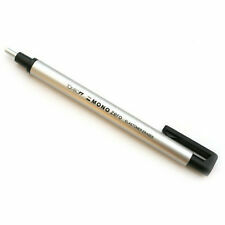 With pen shape shell, this eraser is not sticky hands, easy to use, strong detergency, art dedicated. Draw a perfect circle! Close the lever to lock in the arms. 70 x eraser cores (Electric eraser not include). Size: 40pcs 23 25mm 30pcs 5 25mm. Suitable for school, students, office etc use. AUD 2.09 1 sold. USD 4.12 1579 sold. Standard Thumbwheel Compass. Helix Precision Drawing Set. A technical precision drawing set from Helix, in an attractive and functional case. Standard Technical Compass. Perfect for Technical Draftsman. NEW Ranger, Dina Wakley Media Journal 8"X10"
Surfaces include burlap, canvas, cotton rag watercolor paper and kraft surfaces. 5 out of 5 stars - NEW Ranger, Dina Wakley Media Journal 8"X10"
1 product rating1 product ratings - NEW Ranger, Dina Wakley Media Journal 8"X10"
"NATURAL WOOD PREMIUM SHARPENER" Double Hole Safety Sharpener by LYRA Can be used for Black Lead and Coloured Pencils Can be used for Black Lead and Coloured Pencils Solid Wood - Exceptionally Light Double Hole Small Hole = 8mm - Large Hole = 11mm. COLOUR - Assorted colours. Party Supplies. 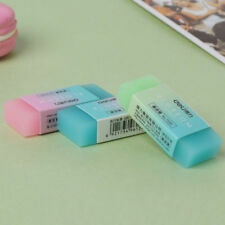 These erasers are soft and non-abrasive making them ideal for standard writing paper and notebooks. Quality products at a low price. Safe & Secured. Add to Favorites. Faber Castell Polymer Leads by On Pack. Choose Your Grade. 10 x A4 Notebook with Printed Hard Cover. Colourful Hardcover Notebook will stand out from other books. 2 x 60 Sheet. Ruled Pages. Add to Favourites. Add to Favourites. New Arrivals. 3pcs all new. Made in Japan. The automatic stapling operation lets you power through big stapling jobs with very little effort. A comfortable grip material lines the stapler for a more secure hold during handheld use. 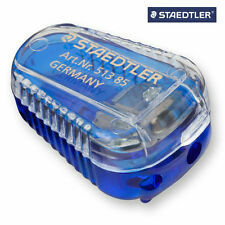 The stapler is powered via an outlet when using the included AC adapter, but can also run on 4 AA batteries.